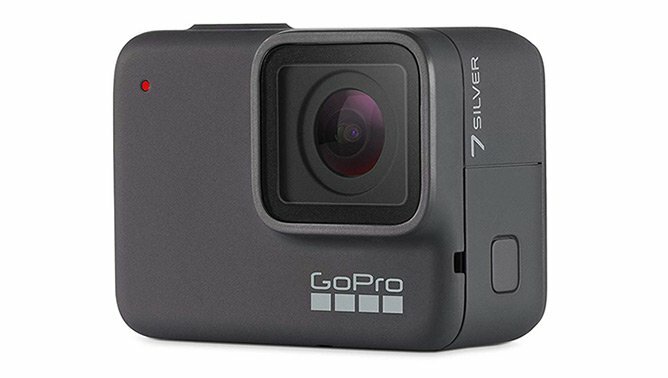 Whether you're an outdoor enthusiast, an automotive enthusiast, or just want a real easy way to capture all your memories, you shouldn't miss out on this GoPro HERO7 Silver deal currently on Amazon. On sale for $199, you can save 34% on one of the most popular cameras available on the market. The GoPro HERO7 Silver sits in the middle of GoPro's HERO7 lineup, offering 4K30 video capturing and 10MP resolution for photos. It also features Wide Dynamic Range (WDR), helping you capture natural-looking photos with detail, even in darker areas. This camera also supports voice control, allowing hands-free recording, which is great if you're an automotive enthusiast and have your GoPro mounted during a lap on the track. You can also track your speed, distance, and elevation by adding GPS Performance Stickers in the GoPro app. So if you've had your eye on a GoPro, now is a real good time to grab yourself one.